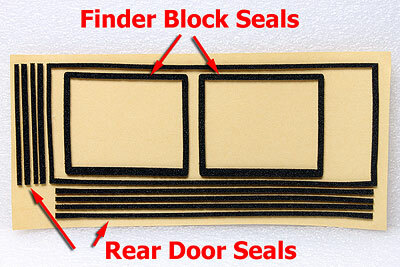 This is Pentax 67 Rear door Light Seals foam (gasket sponge) replace kit. This kit does NOT fits to Pentax 67 II. Only Fits to Pentax 67. 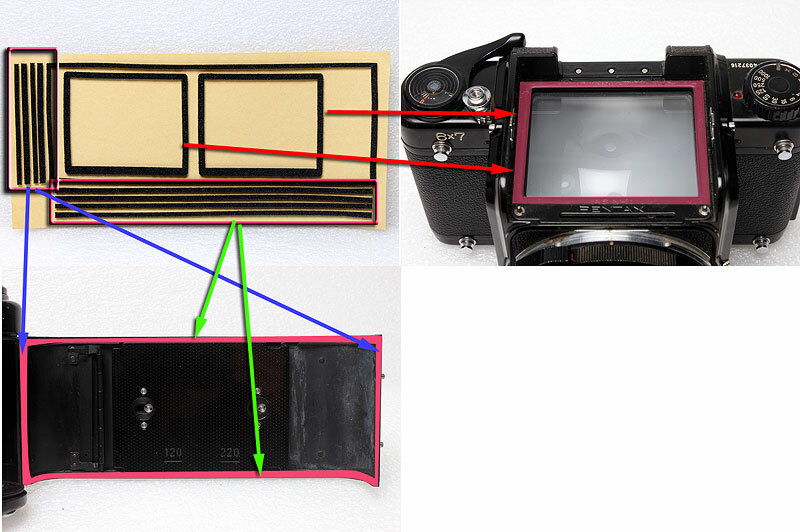 This seal kit covers Pentax 67 camera body Light seals as below. You could install the foam on the prism finder. Camera body is NOT included in this item. You can save time, this is no hassle and these are accurate size for Pentax 67 seals. If you are not so confident, you can use 1 kits for practice, you can install perfectly for the second time.